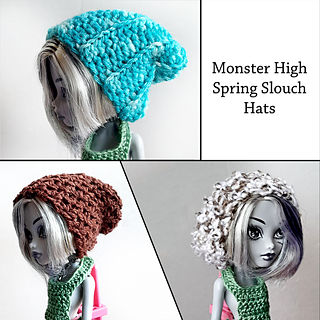 This pattern includes directions for 3 different crochet slouchy doll hats. 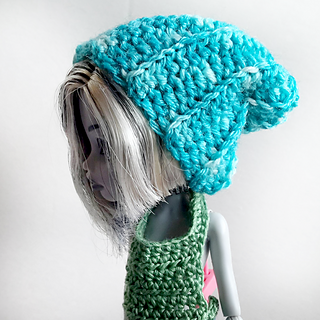 Each pattern includes directions on how to adjust the sizing so this pattern could be used for different doll types easily. 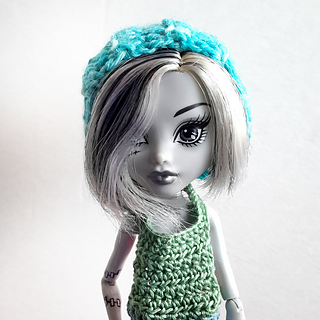 The Basic Slouchy (blue) is a gender-neutral accent that will work with any doll. Add more or less starter chains to increase the drape and slouch easily. Perfect for a beginner! 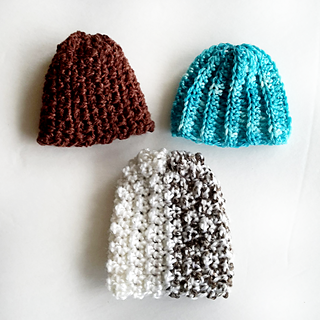 The Textured Slouchy (brown) hat is a dense, easy pattern to set up and get going. For a bit of pop, add in a stripe or two of a contrast colour. 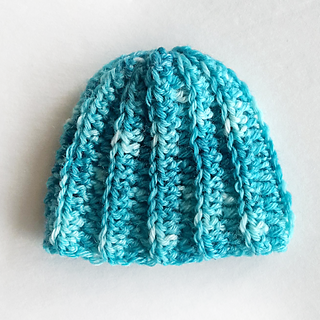 Mini Bobble Slouch (white & speckles) - heavily textured with mini bobbles that are easy and worked in an interesting way along the right side of the hat. Optionally, it can be reversed for a plain, smooth side hat when something more subtle is desired.